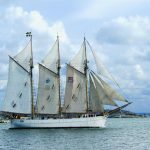 The ship is a 3-masted fore-and-aft schooner, which means that all three masts are of equal length and carry no square sail yards. Ingo was built in 1922 at the well-known shipyard in Sjotorp at the beginning of the Gota Canal by the lake V’anern. At the launch the ship was given the name Ingo. During the years that Ingo sailed with cargo she had, in turn, various home ports such as Sjotorp, Tregrund, Slite, Kladesholmen, Mollosund, Kallandso, Vastervik and back in Sjotorp again. She was well known around the Baltic and Norwegian coasts. Of course, the external look of Ingo has changed over the years. From a beautiful 3-masted white painted sailing ship she ended up as a black motor ship with a wheelhouse and a steel mast. For many years during the 50’s and 60’s Ingo was engaged in drift-net fishing for herrings in the North Atlantic north of Iceland. In the beginning of July she loaded 1000 empty wooden barrels, which were filled during 2 to 3 month of fishing. She is a hard work in stormy waters for iron men in wooden ships. When there were no more cargoes to be found, she was put up for sale. Ake J’arn, owner of the company Albrechtsson-Hasse in Goteborg, bought Ingo in 1976. The purpose was to restore Ingo into her original shape, in order to use her in training and recreation for the employees at the company, at that time working with rigging and sails for the many shipyards in Goteborg. The responsibility for Ingo was in 1983 taken over by the non-profit organization “The schooner Ingo’s friends”, whose main purpose is to preserve Ingo as a living heirloom from the ages of sailing ships and to transfer the knowledge of handling such a ship to new generations. During the past years a large effort has been put in by the members in the restoration of Ingo. On October 6th 2001 the policy of our organization was officially confirmed, when the National Museum of Naval History decided to mark Ingo as a “ship to be preserved”. The motivation was that “the ship must be considered as very valuable as a part of our cultural history”. 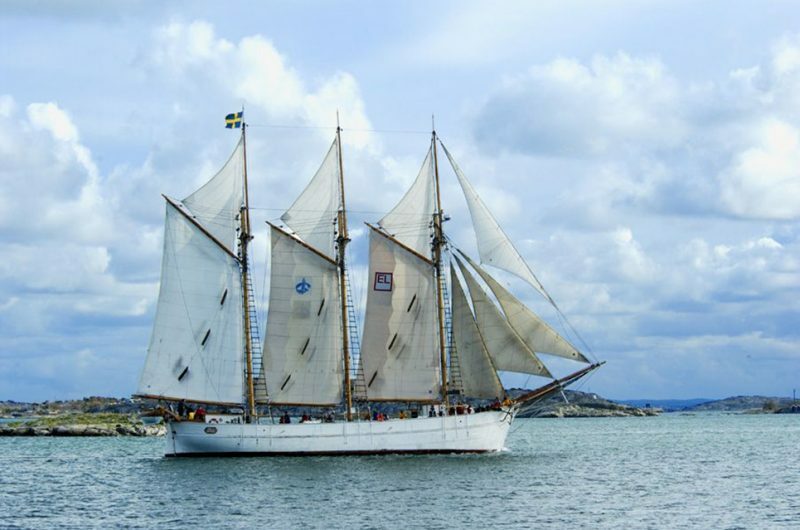 Ingo’s home port is Goteborg and sailing takes place between May and October. Training camps for young people have become a much appreciated part of the activities. With her large saloon and accommodation facilities, Ingo is also very suitable for company charter and conferences. “The schooner Ingo’s friends” is an open non-profit organization with no requirement of sea experience. There is a special youth section for ages 14-25. In summer, several longer and shorter sailing trips are arranged for members, some especially for young people.